Mobile Bay Monthly. December	1989. 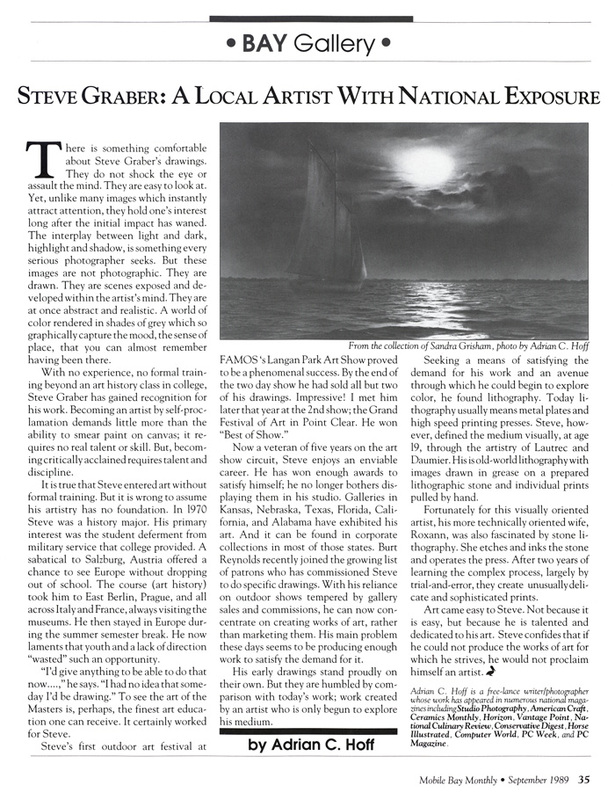 Steve Graber: A Local Artist with National Exposure. Text and photos by Adrian Hoff.